The Plant Services department at George Fox University (GFU) has come under scrutiny by many students for response time to repair problems in student housing areas. However, the department faces obstacles that students do not hear about that make it difficult for every problem to be fixed right away. GFU is proud to be an institution with a history. Our residence halls are a part of that history, and the facilities can sometimes reflect that. The Hobson-Macy-Sutton (HMS) living area, for example, has experienced 40 years of students living in its halls. Many of the on-campus houses have been rented out by GFU for at least 20 years and were occupied by others beforehand. This natural wear-and-tear creates many different problems for students that Plant Services is responsible for fixing. “Our basement is in a constant state of flooding,” said sophomore James Woosley, a resident of Wilder House. According to Dixie Downey, office manager of Plant Services, and Sonia Legg, the administrative assistant, there is not much that Plant Services can do about flooding basements. 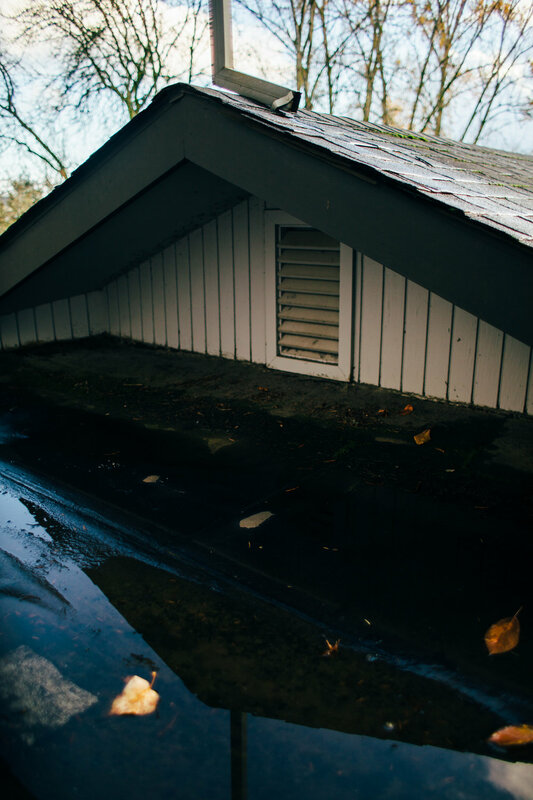 They execute preventative maintenance and assist with damage control, but the weather is really what causes issues like these and some of the old houses are not equipped to stand against heavy rains. “Any issues that keep students from living and working take priority,” said Legg. This means that any calls from students who report big issues get sent to the top of the queue, and Plant Services will dispatch someone to fix it as soon as they can. But sometimes this means waiting for parts to be shipped or for the right person to be able to make it to campus. For example, the plumber works in and commutes from Portland. Plant Services has 45 workers that all are cross-trained and able to work in different areas of the department. Five of these are office workers and are not dispatched for maintenance. 40 people, plus student workers, cover all the tasks that Plant Services oversees: custodial, grounds, electrical, and heating, vent and air conditioning (HVAC). Plant Service employees work on residential housing repair, academic buildings, big projects and landscaping. Many of these people work overtime to make sure that students’ requests are fulfilled. “I remember doing a walkthrough of Gulley this summer and Dwayne Astleford was still there working at 9 p.m., after having already been there since 6 a.m., repairing beds so they would be ready for Welcome Weekend,” said Christian Hughes, resident assistant (RA) of Wilder House. Downey and Legg also discussed the priority that students receive in the system. When there are issues in residence halls versus in academic buildings, the students’ issues are addressed first. Plant Services receives about 25 work requests a day, and approximately 5,500 a year, according to Downey. In 2015, Plant Services spent 2,797.25 hours on work orders alone, and this was only 23.43% of their total hours. GFU has Plant Services do some work on big projects like the Brandt residence hall, and the new student center, so that they do not have to pay to hire outside companies, says Downey. In 2015, projects like these accounted for almost half of Plant Services’ working hours. Juggling all of these responsibilities is no easy task, and students having to wait a week or two for their light to be fixed is a small price to pay for the services that these hardworking people provide. Even so, Plant Services works hard to address every problem as they arise. When work requests are submitted online, they go into a queue and are systematically tackled in order of submission and urgency. “They’ve been pretty good about replacing the small stuff as we ask them,” said Woosley. Despite Plant Services being responsible for a majority of campus upkeep and are “a little on the lean side, staffing-wise,” as Downey said, they are very efficient, organized and, most importantly, have incredible hearts for the students at GFU.